Are you looking to introduce new products and services to your business? We can offer you profitable products to compliment your business. Have you got a clear plan on how to propel your business? We offer hand holding to help you achieve your goals. We offer variety of effective marketing solutions for clinics and doctors. Whether you are looking for traditional or online marketing, we can help. FACTOR4 is highly concentrated and super-rich plasma containing four times more growth factors. 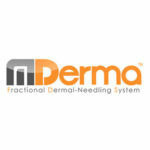 The MDerma™ uses sterile, sealed individual and disposable needle cartridges for optimal patient safety. LIPOGEMS® system is a disposable device for liposuction, processing and adipose tissue reinjection. Klinic Solutions provides results driven mentoring and profitable solutions to cosmetology clinics, doctors, and surgeons. Klinic Solutions can help you grow your business and improve profitability. We have extensive experience in leveraging products to increase cash flow. Our team specialise in helping businesses identify and capitalise on new opportunities. We also provide mentoring and support to help you achieve success. We supply a select few of the vast product options on the market. Each product is individually analysed to identify only the most profitable products. Our aim is to maximise both your profit margins and sales volume. 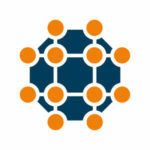 Every product is chosen for its exemplary capacity to be leveraged. All our supplies are premium quality, optimising customer loyalty in your client base. Well managed businesses often underperform because they fail to notice important opportunities. Others are unsure how to adapt to take full advantage of an opportunity. Klinic Solutions are the cosmetology business opportunity experts. We can help you find new opportunities and profit from them. Our mentoring team are specialists in selling non-surgical procedures to customers. We invite you to share in our wealth of marketing knowledge and industry experience. Quality products and services are essential to business profitability. Yet, proper business strategy and marketing schemes are the backbone of a successful business. Without this, even a business offering the best products and services is at risk. Klinic Solutions mentor and support cosmetology businesses, doctors, and surgeons to ensure sound business principles. Klinic Solutions offers free consultation to see how we can help you. Contact us to learn more about your business opportunities and our profit maximising products and services.